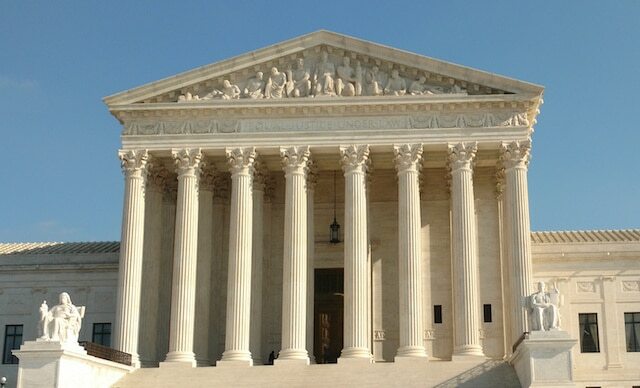 WASHINGTON — Before a full house at the Supreme Court of the United States on Monday morning, the high court heard oral argument in Christie v NCAA — a long-percolating clash over a 1992 federal law that effectively bans sports betting outside Nevada. The State of New Jersey (Christie) and the NCAA (along with the major professional sports leagues) each had high-powered, seasoned attorneys arguing their cases: Ted Olson for New Jersey, claiming that the law known as PASPA (Professional and Amateur Sports Protection Act) tramples upon New Jersey’s rights in violation of federalism principles; and for the leagues Paul Clement, a former United States Solicitor General like Olson, arguing that PASPA is a perfectly fine example of federal government regulation that occurs all the time. All of the Justices appeared interested and engaged, peppering both attorneys with questions exposing weaknesses of their respective cases. The constitutionality of PASPA is at stake and more broadly, whether New Jersey and a host of other states interested in licensing and regulating sports betting — like Nevada does — may soon be able to do so in the absence of PASPA. Olson spoke first for about 25 minutes and immediately underscored one of his main points: the balance of states’ rights and the federal government’s. He referred to the Constitutional Convention when the founders established the U.S. Constitution in response to the “failed confederacy,” in pursuit of a government to find a balance between state and federal government. Before Olson got too far, Justice Elena Kagan and Justice Sonia Sotomayor wanted Olson to explain how PASPA is different from laws such as federal energy laws, for example, where the federal government “preempts” or sets regulations that states must follow. “So why is it that telling the states that it can’t license, participate in, authorize, or otherwise involve itself in gambling a strict prohibition of a commercial actor?” Justice Sotomayor asked. Meanwhile Justice Kagan wanted to hear about whether (or not) PASPA requires states to “self-enact” laws prohibiting sports betting. One Justice who appeared warm to Olson and New Jerseys’ case, Justice Anthony Kennedy, openly asked that to avoid a commandeering issue, how should PASPA be interpreted? Olson advised that Congress must take a responsibility in regulating the activity (sports betting in this case) but that PASPA does not do that: rather it’s an act prohibiting wagering under state law, and also passes a budgetary burden to the states. Justice Breyer noted the lack of a regulatory framework regarding sports betting for state, creating the commandeering problem that Olson argued. Speaking of budgetary burden, that’s one area where the newest member of the court, Justice Neil Gorsuch, took issue with PASPA in questioning Clement. “Does PASPA make enforcement ‘cheap’?” Gorsuch asked rhetorically, referring to how the burden might be on the states to handle enforcement, not the federal government. The conservative bloc of the court was quite active during Clement’s turn, particularly Chief Justice John Roberts and Justice Samuel Alito, who seemed troubled with PASPA because of its lack of a regulatory framework (or in other words, PASPA doesn’t “preempt” state law because in effect the law doesn’t tell states what to do to with respect to sports wagering, or how to do it). “PASPA was worded in a particular way for a particular reasos” Clement stated, later adding that Congress thought it better at the time to let states decide what to do within the confines of the prohibition. 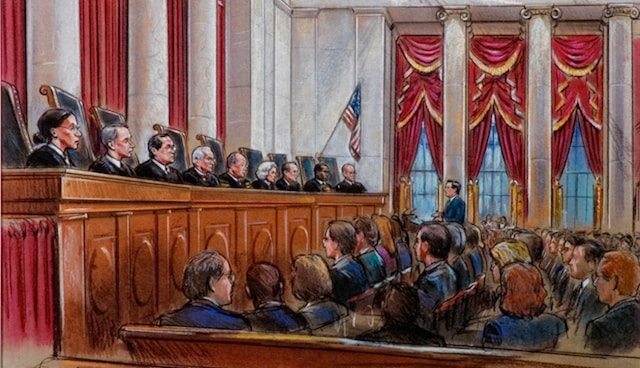 Alito struck to the heart of that matter during Clement’s time, stating that Congress, if it had wanted to, could have prohibited sports wagering enterprises (or sportsbooks, or operations) as a whole. But PASPA didn’t do that. “What policy purpose does PAPSA serve that the former” wouldn’t accomplish? Alito asked. Clement didn’t have a great answer — claiming that PASPA actually promotes federalism by leaving the states some options — although blame for that goes to Congress in 1992. Jeffrey Wall, the Principal Deputy Solicitor General of the United States, spoke on behalf of the federal government, in defense of PASPA. The main highlight of Wall’s 10 minutes was exploration of what’s become known as New Jersey’s “nuclear option,” or a total repeal of its prohibitions on sports wagering. This theoretically would create a Wild Wild West environment with no regulation whatsoever on sports betting. Wall explained that New Jersey could simply do nothing and leave its laws on the books or totally repeal them (full transcript available here). CHIEF JUSTICE ROBERTS: What if the repeal — what if the repeal is across the board, no exceptions? CHIEF JUSTICE ROBERTS: Well, is that serious? You have no problem if there’s no prohibition at all and anybody can engage in any kind of gambling they want, a 12-year-old can come into the casino and — you’re not serious about that. WALL: I — I’m very serious about it, Mr. Chief Justice. The problem that Congress was confronting was state sponsored and sanctioned sports gambling schemes. It didn’t care if I bet with my buddy on the Redskins game or we had an office pool. 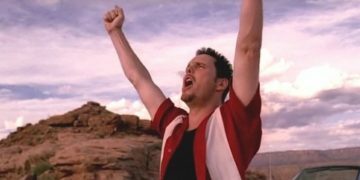 It wasn’t going after all sports gambling. 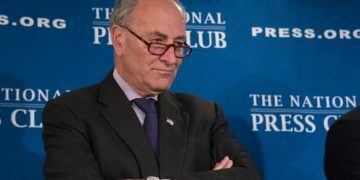 Wall said that neither Congress nor the lower courts expected New Jersey to engage in “gamesmanship” with its self-styled “partial repeal” that brought the case to this point. With his five minutes reserved, Olson brought it back to 1787: the Constitutional Convention, state versus federal law. He mentioned political accountability which came up in the briefs, but there was very little discussion at all about “Equal Sovereignty,” or the doctrine that all states should be on equal footing (as in, why can Nevada have sports wagering but not New Jersey?). This all came back to federalism and the issue of “commandeering.” Does PASPA force New Jersey to enforce federal law? And Justice Kennedy remarked at one point in a fashion that seemed to represent the overarching — but far from prevailing — sentiment of the court. 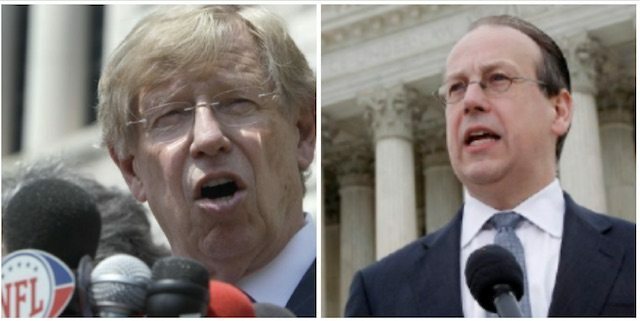 – Chief Justice Roberts actually gave Ted Olson a couple extra minutes in his reserved time, I think because Justice Sotomayor asked a long-winded question at the start of his reserved time. – The first 15 people on the line for the public were all paid line-holders, which apparently is the new, niche Uber. Once those people got their tickets, they left and later a bunch of men in suits took their places. – Before oral argument, New Jersey Governor Chris Christie was sworn in the Supreme Court bar (followed by about 30 more attorneys). – At one point Justice Breyer appeared to pass a note through Justice Thomas to Justice Roberts, and Breyer smiled and laughed, but Roberts did not seem amused by it.